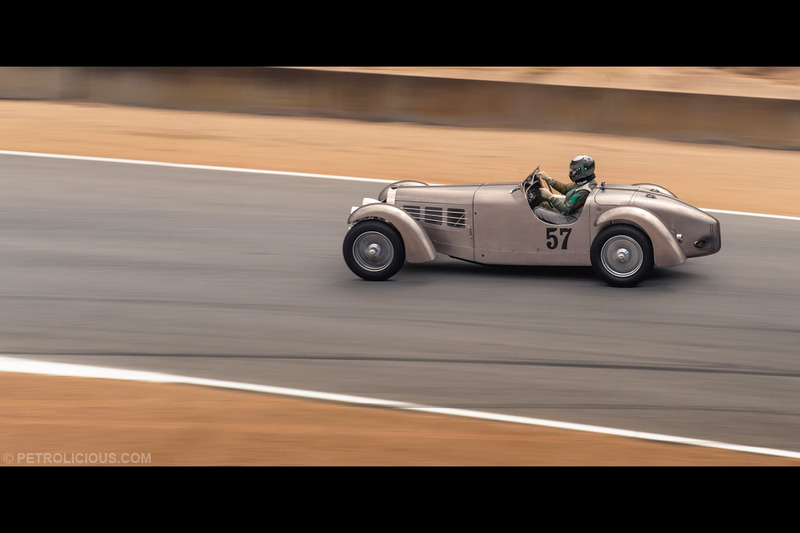 A favorite of drivers and motorsport enthusiasts alike, the picturesque Mazda Raceway Laguna Seca nestled in the Monterey Peninsula will once again go retro, and play host to hundreds of historic race cars which will compete during the Rolex Monterey Motorsport Reunion during August 13-16. 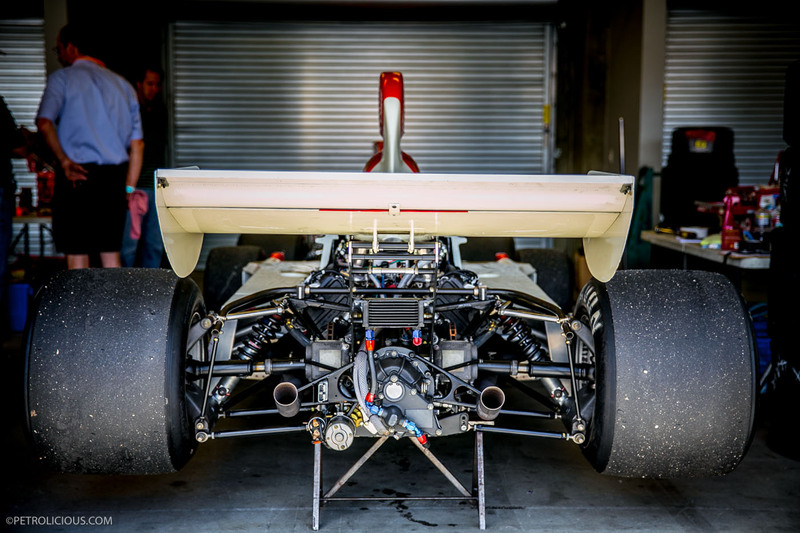 Founded by Steve Earle in 1974 as the Monterey Historic Automobile Races and held at the circuit ever since, its eleven turns and 2.24 miles are regarded as one of the most challenging layouts in the world. Fast corners, a low grip surface, and its signature turn, “The Corkscrew”—a blind crest with an elevation drop equivalent to five and half stories. 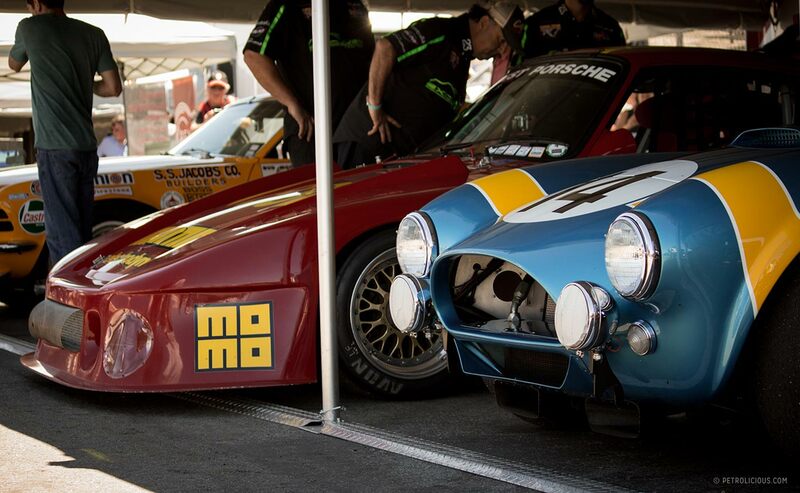 In other words, the perfect place to race priceless historic vehicles from around the globe. 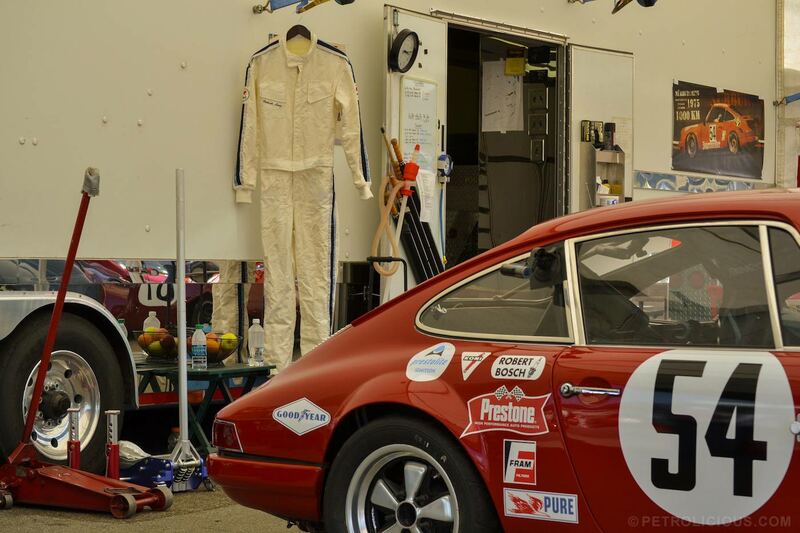 As part of Petrolicious’ guide to this year’s Monterey Car Week, we were privileged to talk about the famous track with race car driver, Patrick Long, one of the most successful sportscar racers of his generation, co-founder of one of the coolest air-cooled Porsche events on the planet—Luftgekühlt—and all-around nice guy. Long certainly knows the track well*, and has taken incredibly close victories there in the past. Both on- and off-track, Long was kind enough to offer some personal and professional observations of the track. 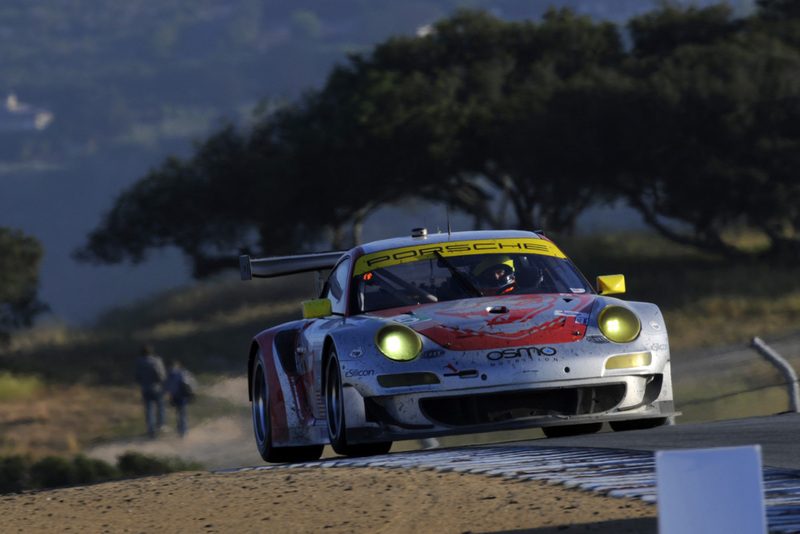 Whether you’re racing or watching at Laguna Seca, get the most out of your visit. First, let’s learn a bit of background on Long’s experience at the track. How many years have you been driving Laguna Seca for? When did you race there for the first time? Patrick Long: I first raced at Laguna in 1998, in my transition to go-karts to cars. I won a scholarship to Skip Barber, and the prize was a credit to go through their school and do a bit of racing. 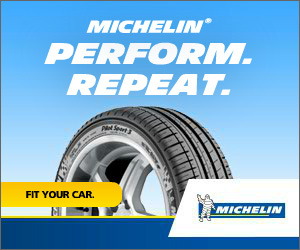 How many laps total do you think you’ve driven on the track? Long: Too many to count. I’ve been racing there regularly since 2004, and I try to make it every year for the Historics and all the activities around the Monterey car week. Put another way: I’ll take any excuse I can find to drive at Laguna. 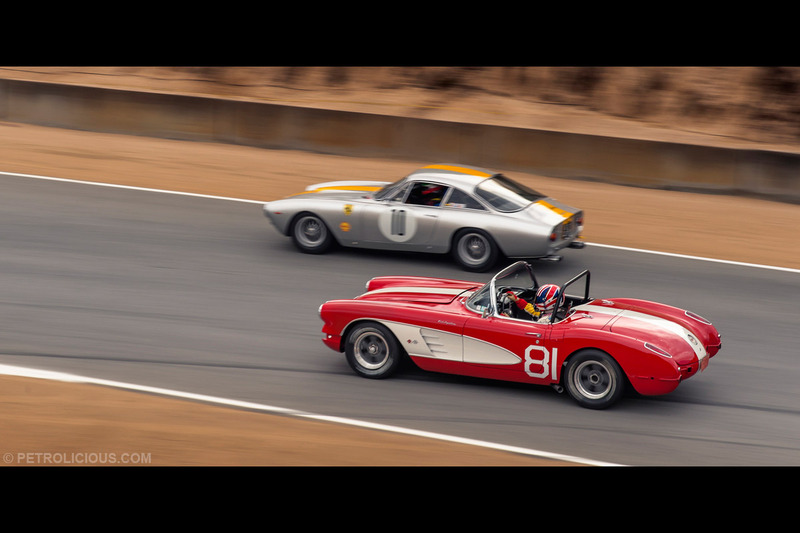 Why is Laguna Seca so beloved among drivers? What makes the track and setting so special to you? Long: It’s an icon of a track with varied elevations and cambers. 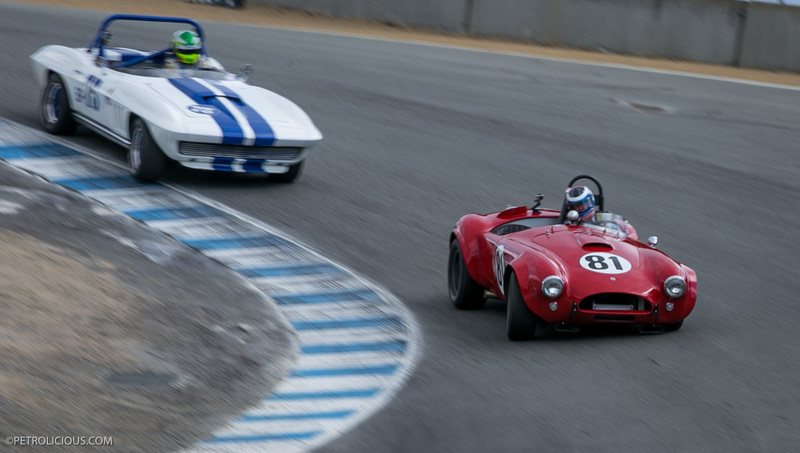 The historic corkscrew is one corner that every driver wants to experience. It’s also in a really cool part of the world and there is usually a great event experience in town connected to anything on the track. What are some of your tips for being a spectator? Long: Wear good all-terrain, comfortable shoes and walk the different sections of the track. You can get to tons of different viewing points, and it’s just a super picturesque place. More practically, there’s a great craft beer stand at the very top of the hill, which is worth the walk. Get a beer there and you’re right there on drivers’ left as the cars enter the Corkscrew. You’ve got this great 360-degree view, but you can also walk down the outside of the Corkscrew, find some shade and get very close to the action. What are some of the other highlights of Laguna Seca, as a track and as a facility? Long: One of the best parts are the local fans and enthusiasts–those people are lifers, and they’re just so knowledgeable and fired-up for anything to do with any type of sportscar racing. I wouldn’t say it’s a drawback, but one of the challenges for drivers there is that the sand in the natural terrain tends to get blown onto the track when wind picks up—which is pretty frequently because of the proximity to the coast—so the conditions of grip on the track change regularly and quickly. It can be a very low-grip surface which makes setup a challenge, but also makes it a lot of fun to drive. How does the course test you? Long: To generalize, the radiuses of the quick corners corners are long and the surface grip is low, so you have to emphasize mid-corner speed. It’s easy to be a hero on entry and kill all your exit speed. On the contrary, if you over-slow your entry, because the lengths of corners are long, you’ll run out of room and create superficial understeer on exit. There’s a real rhythm and balance to getting everything out of a lap there. What are some of your tips for driving on the track? Long: Last of the late brakers in Turn 2, the Andretti Hairpin! In turn 3 and 4, maintenance throttle at the apex will usually help change direction and keep your rolling speed up. Take early throttle and a clean exit out of 5. In turn 6, you want to get off the brakes before you can see the apex, and make sure you are dead on your apex. For the Corkscrew, 90% of people miss the apex on right coming down it, but since it’s blind, the only way to know you are clipping it correctly is to feel it. Turn 9 and 10 is about getting off the brake pedal and sailing it in there! Turn 11 is your run on to the straight, so don’t blow your apex by being a hero on the brakes. It’s key, as your left front hits the apex you are ready to nail the throttle! There’s a lot of tricks to how to use the cambers on the track. An example is a lot of positive camber that builds through turn 5, so you can really throw a lot of speed into the corner and let the physical makeup of the turn work for you. At the same time, turn 9 is a corner where the camber loss can really affect how much speed you can roll through the corner, so the car can get away from you really quickly. What is your favorite parts of the track? How do you approach them? Long: There’s really no low-key or simple section at Laguna. Most people focus on the Corkscrew and it’s as challenging as it is picturesque, but there’s more time to find in turn 5 and 6. You’re ascending, the corners are very quick and turn 6 is totally blind on entry. What’s one of your most memorable drives at this track and why? Long: The 6-hour ALMS in 2011, I believe. It all came down to the final minutes where we had a three-lap shootout to the end, and at the restart I was able to elbow my way past Joey Hand in a Rahal BMW M3 and just barely hold him off. We didn’t have the speed to win that day, and without a yellow it would have been almost impossible, but to steal that victory in the closing minutes had the team pretty pumped. 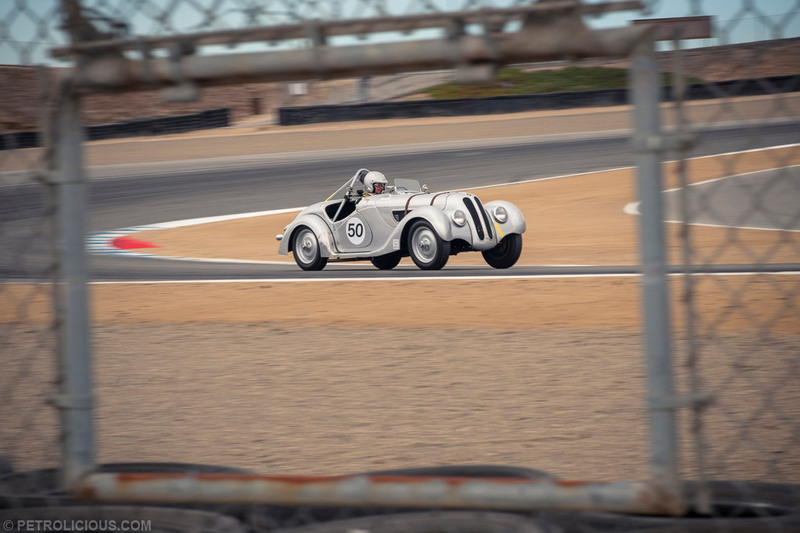 While Patrick’s tips might not imbue one with the ability to hustle a vintage Porsche around Laguna Seca like he’ll be doing again this year, his valuable insight on this historic track will hopefully make your visit there more enjoyable, either as a spectator, or participant. If you love motorsport, you owe it to yourself to check out the track, and should you have the chance to run the course, you surely won’t regret it. Just remember: aim straight across for the big, old Oak tree when you start to crest the top of The Corkscrew. 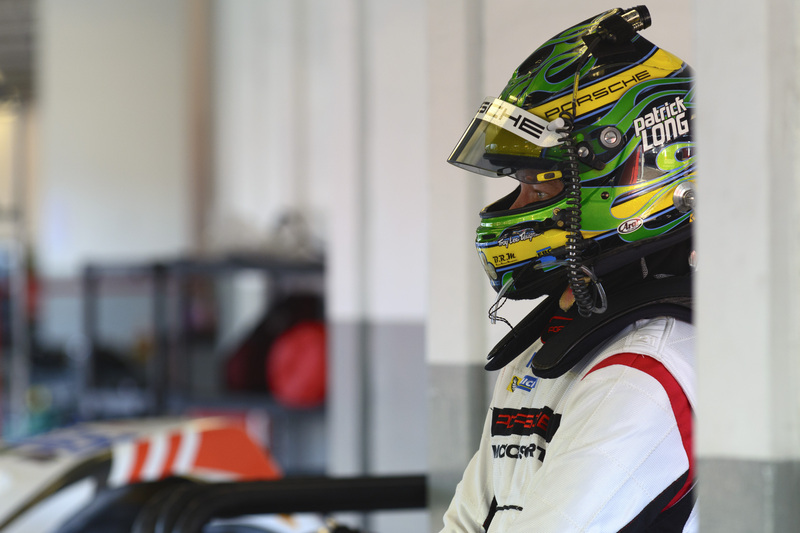 * Long has been a Porsche factory driver since 2003, a three-time ALMS GT Drivers’ Champion, and the youngest American ever to win his class at all four of the endurance classics—the 24 Hours of Le Mans, Rolex 24 Hours of Daytona, 12 Hours of Sebring, and Petit Le Mans.